As I'm trying to learn XCode plugins projects, I ported some of Paul Bourke's equations in 2 plugins. Very interesting. Did you perhaps leave out the plugin code for the Klein bottle and the trefoil? 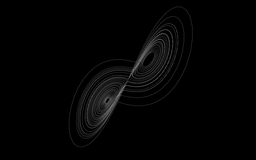 I get the attractor and the twisted plane displaying ok, but not the others. PB has done some amazing stuff, yes!